1 Hour EyeDocs is proud to be a member of the American Optometric Association and to be enrolled as InfantSEE® providers. This is a one-time service which offers early detection of potential eye and vision problems at no cost regardless of income or ability to pay. Through InfantSEE®, Optometrists provide a one-time, comprehensive eye and vision assessment to babies in their first year of life, usually between the ages of 6 and 12 months, offering early detection of potential eye and vision problems at no cost regardless of income or ability to pay. 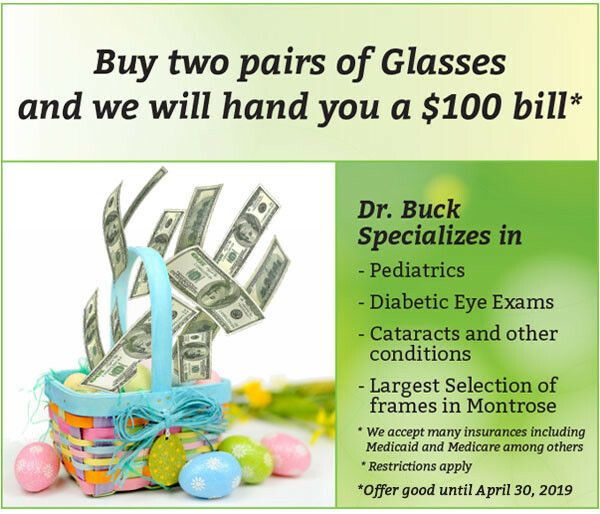 We offer this service at our Montrose eye doctor’s clinic. Do you want longer, thicker lashes? Ask your Montrose CO optometrist about Latisse at your next eye exam.